Rocco is the author of three cookbooks. Having visited India five times in the last three years for a total of 26 weeks, Italian-Canadian chef David Rocco feels that the country is his “second home”. He says it’s interesting how the cultural influences of the country shine through its cuisine. Rocco has explored India as part of a TV show for channel FOX Life. 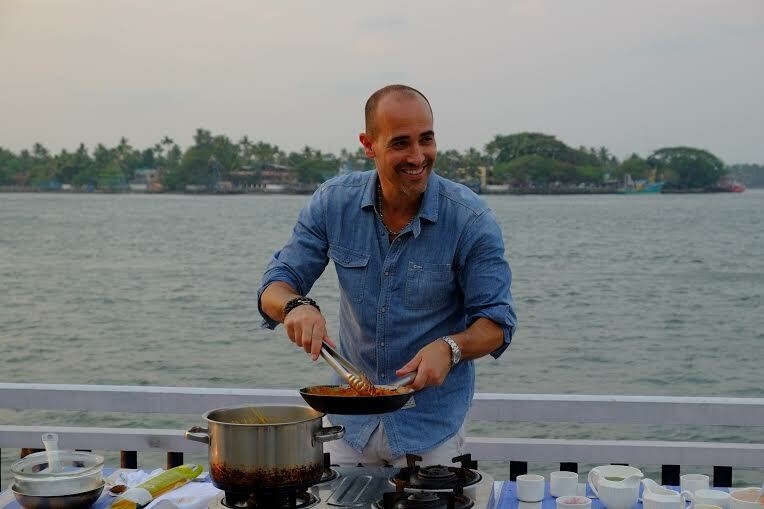 For the second season of the Italian-Indian culinary adventure “David Rocco Dolce India”, he returned to the nation and visited lesser-known locales to uncover some hidden gems. “It was really cool discovering these unique and diverse communities throughout India and seeing how their cultural influences are reflected in the cuisine,” Rocco told IANS in an email interview from Toronto. Through his show, which airs in over 150 countries including India, he introduces viewers to the Portuguese influence in Goa, the Chinese community in Kolkata and the holiest of Punjabi traditions in Amritsar, while sampling plenty of culinary delights along the way. “I was first introduced to Indian food many years ago, but having Indian food in India is a totally different experience than outside of India. And of course making my first Indian dish was a little intimidating, but I’ve learnt a lot since then in terms of ingredients and technique. “In season two of my show, I’m much more comfortable with the process and I really start to play around with certain dishes, combining flavours that north and south Indians might never have even thought to work with,” said Rocco, whose first attempt at Indian food was a ‘dal’ (lentil) and he found it “pretty straightforward” in making. The author of three cookbooks, Rocco has travelled the world over. But he said: “I’m attracted to India for its diversity and the warmth of its people”. He is also fascinated with the importance given to food and family in the Indian culture, which he finds “so diverse, from region to region”. In his show, he says he fuses his own style of cooking with Indian ingredients as “inspiration”. “You could call it the easy Indian approach. I’m really being an ambassador to the people outside of India, helping them see how accessible Indian cooking can be,” he added, stressing that localisation of global cuisine is “an incredibly common thing around the world”. “For instance, McDonalds is different everywhere you go! If you look at Italian food, you can get it pretty much everywhere in the world: lasagne, pizza and pasta are probably some of the most universally liked dishes that you can get in any major city across the globe. Is it authentic? Most likely not.